Rescue dogs aren’t second best..To Rescue is about being there for a dog that needs you. If your first option is to buy a puppy understand the ethics involved. You’ll never have the thrill of saving a life and your money will ask the breeder to breed again and further contribute to the intense dog problem we have. Rescue, and with the right guidance, you get the dog of your dreams. Dog breeding is mainly commercial nowadays. Terrier pups come cheap and are sold like bars of soap indiscriminately from every free ad paper or website. Terriers need a special kind of home, sadly for them, so often bought for their looks or on a whim. They often start moving from home to home within months. Terriers need to be highly socialized and managed, as they can’t take the stress of being top dog which a babied terrier becomes. Sharp teeth and claws; busy ‘scampish’ ways and yes the hardest dogs to train. You can’t train the terrier out of a terrier. If a terrier gets into the wrong family they become a disappointment; an annoyance; labeled aggressive or simply trusted beyond their capabilities. Terriers get lost, killed on the road or put to sleep just for being a terrier! We ask you to complete our homing questionnaire, informing us of key factors in your stage of preparedness and suitability for this breed type. Terriers are lively ‘working’ individuals with strong personalities and wilful characters. They begin to calm down after ten years old and remain full of character to the end; their life expectancy is 16! Our terriers are waiting and ready. If you’re not ready, please don’t submit our questionnaire. Use the time to prepare ‘your mind set’. 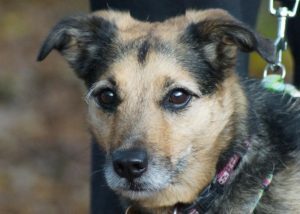 Go out of your way to meet terriers and talk to their owners about the restrictions terriers can impose on their lives. If your terrier has recently passed away re-acquaint yourselves with what a young terrier is about; it may come as a shock! Make your garden terrier proof- 6′ wooden panel fencing and high solid gates are ideal. We do not home our terriers in with unneutered dogs for many, many reasons. So neuter and vacinate existing dogs, gain landlord permission in writing where appropriate. Then you’ll be ready for the homecheck. Ready? Acquaint yourself with the website we have a lot of information here. Complete our homing questionnaire in detail, attaching photos of your garden as this gives a clear idea of their boundaries and ‘free running’ space. Read each dog’s details factually; try to see beyond the picture. We say this as specifying a particular dog when you so obviously haven’t read about them is off putting for us. Be realistic in your preferred choice. Realism is key to owning a terrier! Save the completed form if you wish before you submit it. We will follow this up with a phone call over the next few days so we can chat through any issues and answer any questions you have. As our dogs are all over the UK, in various situations, the procedure varies from dog to dog. Some terriers are homed directly home to home. Their adoption donation helps to pay the kennel fees of others less fortunate. We operate as a rescue on the strength of people’s generosity. We have no paid staff and don’t claim our expenses. All donations go to pay our vet and kennel bills. So you are offering a terrier your home or supporting our work… thank you!